Hints on getting well and keeping well. Mrs. R(achel). B(rooks). Gleason, M. D., 1820-1905. New York: Wood & Holbrook, 1870. 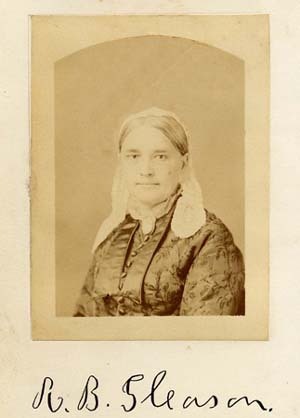 Frontispiece is a mounted albumen, portrait.